This map of Texas and its adjacent countries was compiled for the state department and includes listed land, area, and population statistics, as well as references. Topographical features shown are sierras, mountains, lakes, rivers and rios. 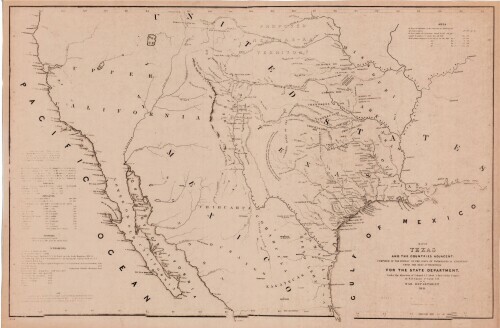 Indian tribe territories, trails, and military and discovery routes are indicated.